A family which chooses to adopt, not only have a wonderful experience for themselves but also go on to give a new lease of life for the child. 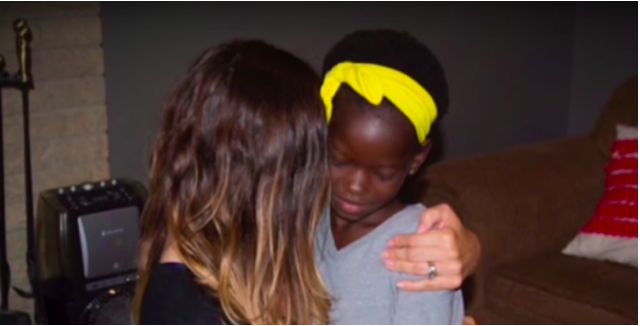 We discovered this poignant story about an American family who adopted this girl from Uganda. Unfortunately she had to be sent once the family discovered the truth about the adoption story. Adoption is a wonderful way of expressing your emotion and affection towards a child who needs an identity, care and nurturing. There are a lot of famous celebrities across the world like Angelina Jolie and Madonna, who chose to adopt kids from round the globe, especially those children who were victims of war, corruption and poverty. A reason to believe that the foray of adoptions resulting from the third world country and charity campaigns have increased awareness across the world related to children’s pain and sorrow. But as is with every good intention comes along the opportunists where not so nice people try to take advantage of this adoption fever, in order to make some quick money. 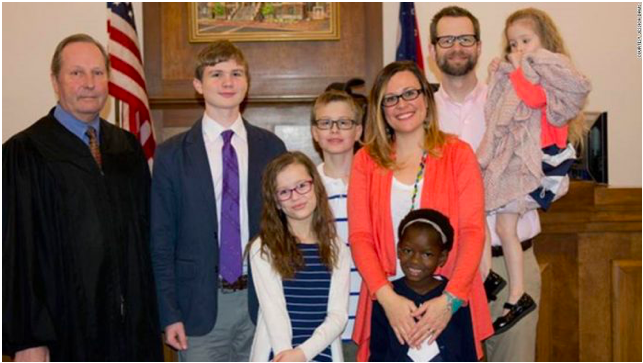 An American family of four Ohio, Jesica and Adam Davis were apparently a victim to this adoption scam. They quite desperately wanted to complete their family with another child, hence, they decided to adopt a child from Africa. 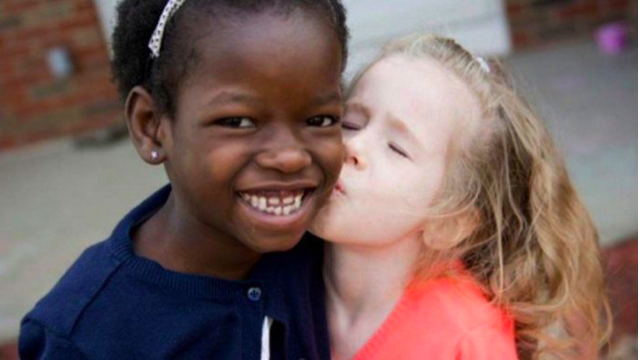 Their adoption search finally culminated with a six-year-old girl from Uganda, whom they assumed to be an orphan. The family was told that her father had passed away and she was left at home only to be abused by her mother. As her mother could not provide her education, she couldn’t even think about school. The adoption agency fooled the family saying that the mother was not able to take care of the little one. Hence, the agency felt that the girl deserved an opportunity for a good life. 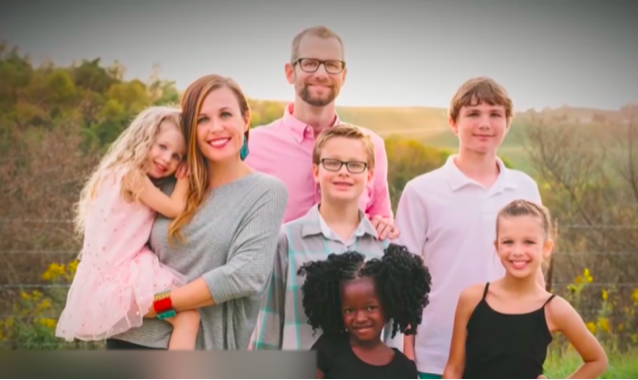 The family flew to Uganda in 2015 to meet the girl. Sadly, she couldn’t be met in the small village, where she grew up. Unfortunately, she was located in an orphanage at a distant four hours from her village, behind windows with bars and caged without any toys to play. Jesica and Adam took a desperate step to help the girl, they took her home along with them as soon as possible. They soon fell in love with their newly adopted daughter, who really grew well at her new home. Post six months, all their happiness was about to come to an end. The girl became quite well versed in English and that’s when she expressed to her new parents, how much she was missing her biological mother. 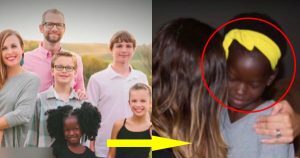 The truth slowly started unravelling and the girl told her adopted family the real reason behind this adoption, the conscience of the family started disturbing them. They felt perturbed, that their actions might have resulted in separating a child from a loving family. So, they went ahead and informed this complicated matter to the US State Department. 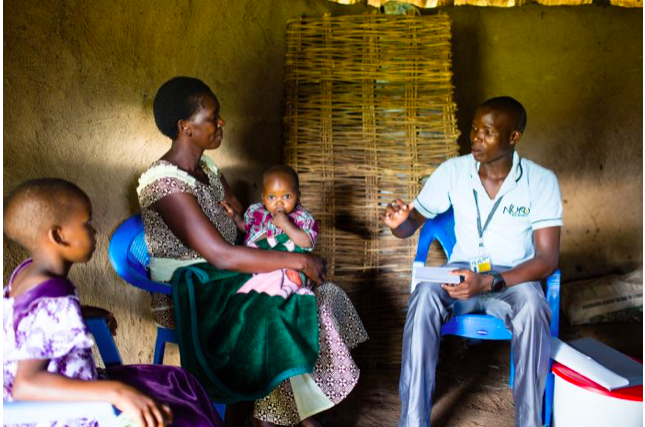 At the same point, they reached out to Namata with her biological mother via FaceTime video calling, as she was located by the workers at Uganda Reunite, a NGO, whose primary goal is to reunite children with their real parents, after being taken away owing to wrong reasons from Uganda. That call was pretty helpful and heartwarming for the American family. They saw how little Namata was all lit up while talking to her mom, an unexpected reaction from a girl that was abused. They realised that Namata’s mother was a victim and not a sinner, as it was portrayed earlier. They had a word with the mother, in order to be more concise and clear. 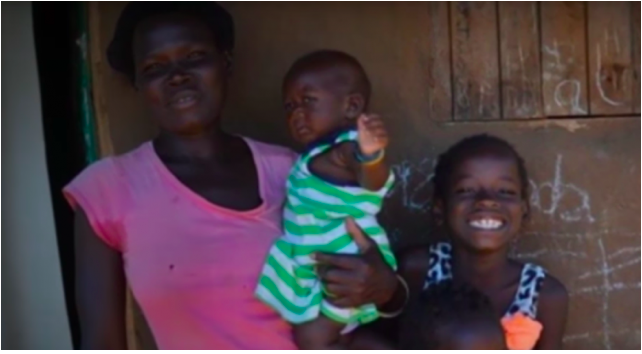 She told the American family, how she agreed to the adoption of a better education for her girl and on completion of her schooling, she would return back. No way did she realise, that she was never ever going to see Namata after signing the papers. Since, Namata couldn’t be kept away for long, which the Davis family were aware of, especially after knowing the truth. 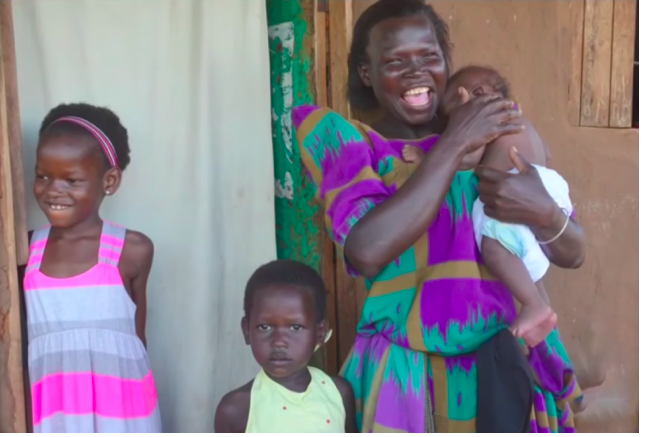 Hence, barely after a year, after bringing Namata into the family, they sent her back to Uganda, where she was finally reunited with her dearest mother. Today, she is back to where she actually belongs. And her ill-fated story has made many families alert, who want to adopt. Even though it’s been a heartbreaking experience, for the girl, her mother and the American family, many children are being saved from trafficking through the fake and illegal process on account of this incident.